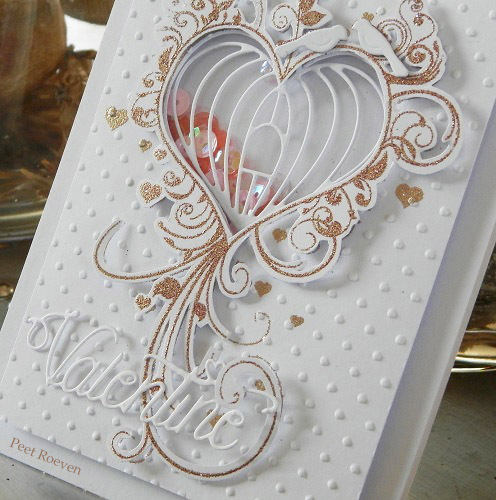 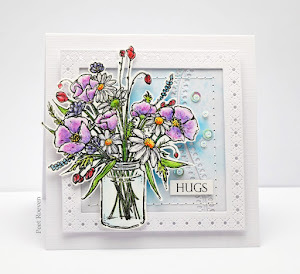 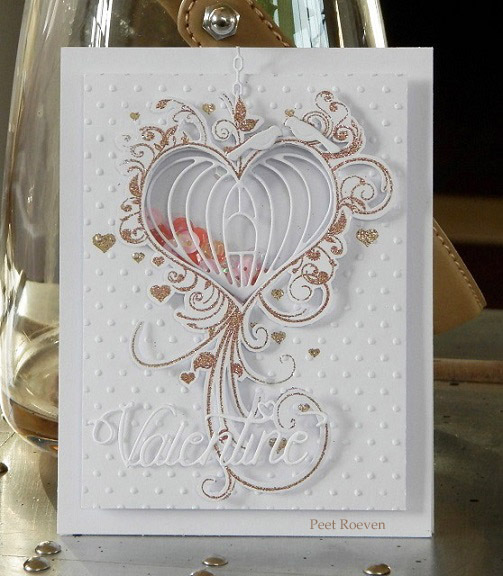 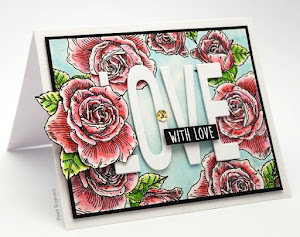 You'll find the Love Always catalog on the Penny Black Blog as well as inspiring card ideas. 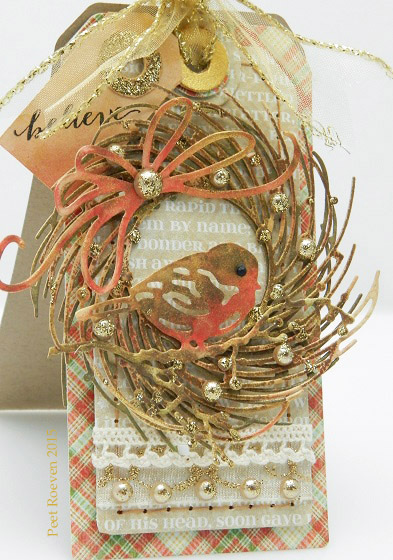 Scalloped Circle Die from Nellie Snellen, Paper by Bo Bunny, Distress Inks, Delicata golden glitz ink, Organza Ribbon. 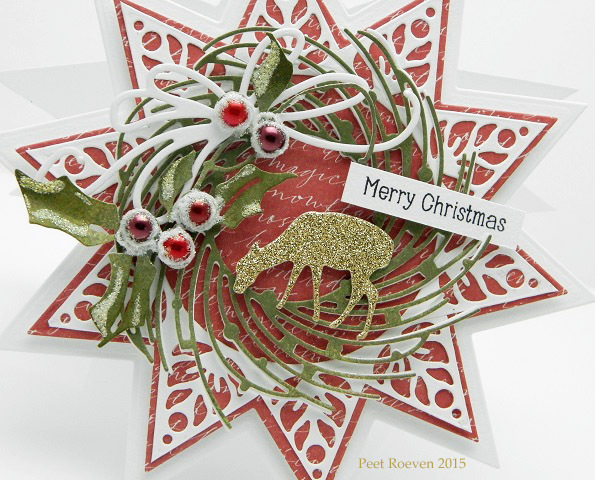 Have a wonderful Christmas everyone! 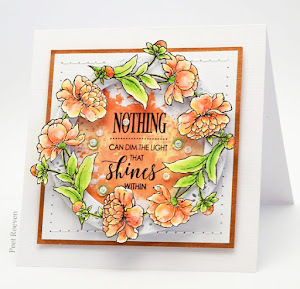 Other: Distress Inks: antique linen - vintage photo - festive berries - fired brick, Delicata golden glitz ink, Pearls, Stickles-Gold, Paper by Graphic 45. 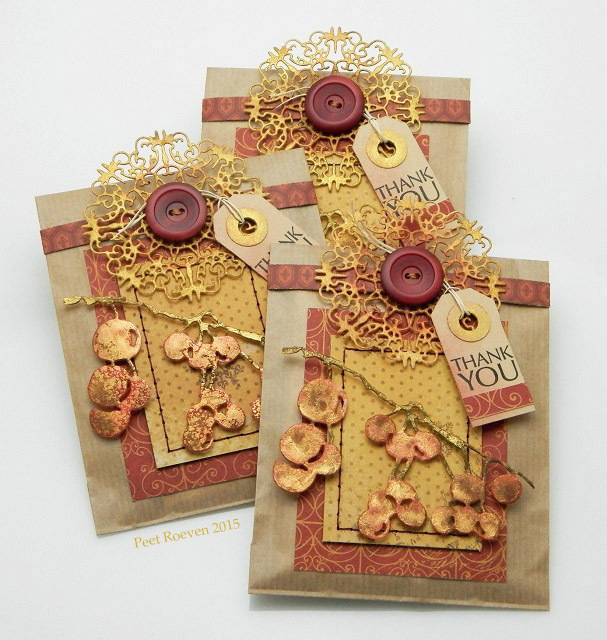 Other: Kraft Paper Bags, Silver & Gold Paper from BoBunny, Distress Inks - antique linen, vintage photo, festive berries, fired brick-, Delicata golden glitz ink, Buttons. 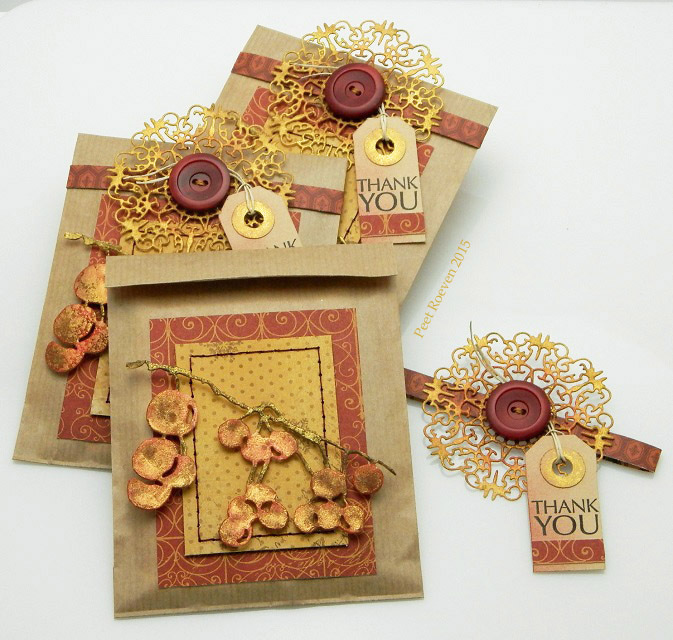 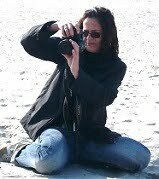 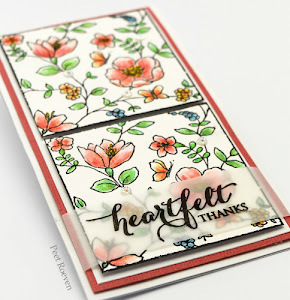 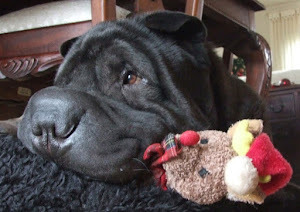 For more *thank you* projects, check out the Penny Black blog! 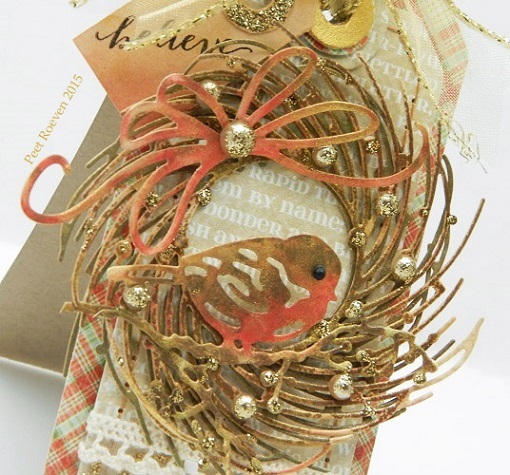 Other: Distress Inks, Gold ink, Twas the Night Before Christmas Paper by Graphic 45, Kraft Paper, Organza Ribbon, Lace, Pearls, Stickles-Gold. 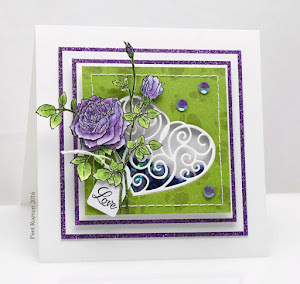 Here is my final card that I made for the *Pass the Paper* week on the Penny Black blog. 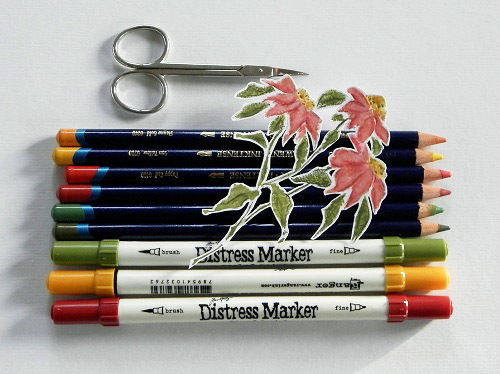 Other: Faber Castell Polychromos Pencils, White Cardstock, Ribbon, Beads. 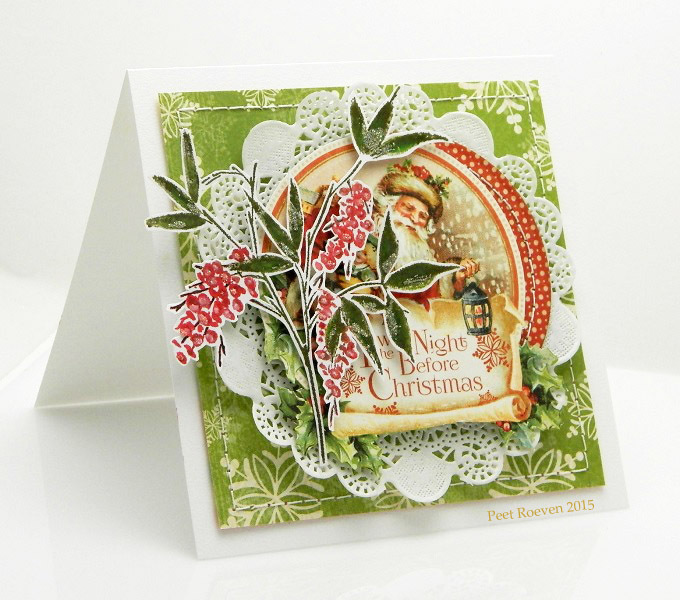 It's all about paper on the Penny Black blog this week! 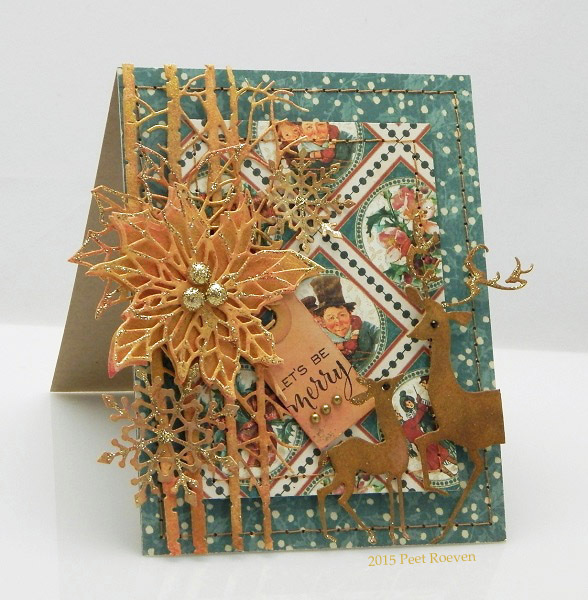 For my third card I have used the paper pad, 80-013 Holiday Trimmings again. 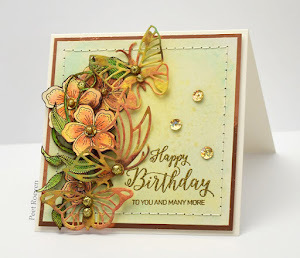 Other: Distress Markers, Derwent Inktense Pencils, Sequins, Rhinestones. 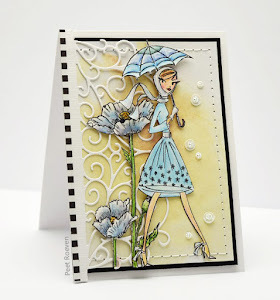 Other: White Cardstock, Stickles & Glitter Powder. 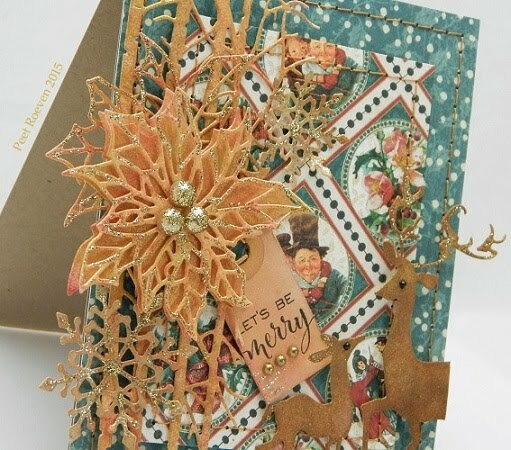 Other: Glitter & White Paper, Sequins, Pearls, Velvet Ribbon. Distress markers, Doily, Glitter Powder. 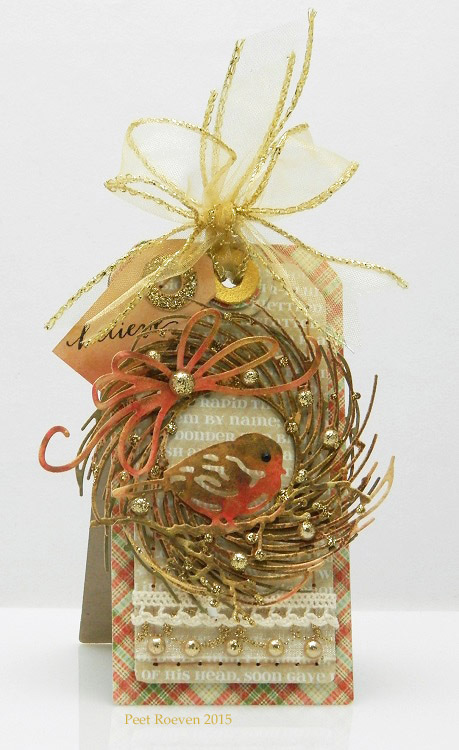 Other: Red Corrugated Cardboard, White Cardstock, Gold Glitter paper, Gold Pearls, button, Gold glitter glue, Organza Ribbon. 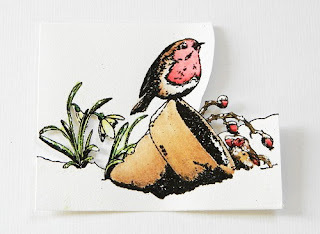 From Winter to Spring using the same stamp.....I made these cards for the Penny Black blog. 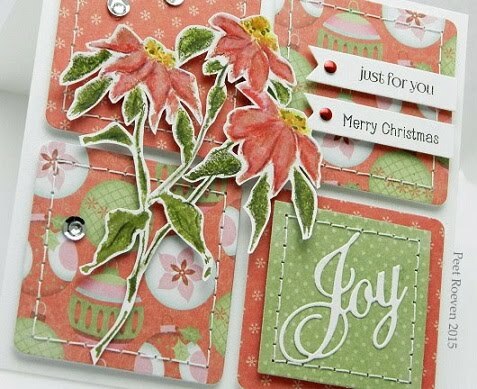 Stickles, Glitter Powder, Red Pearls. 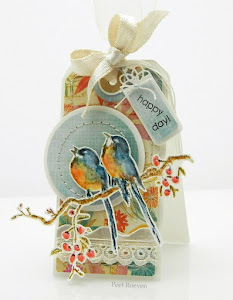 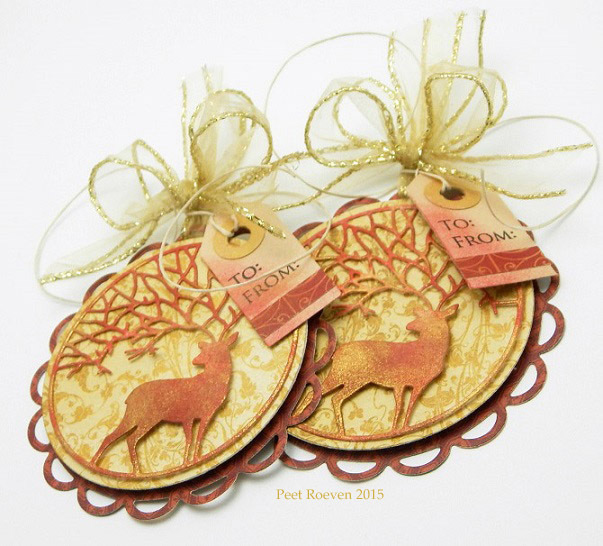 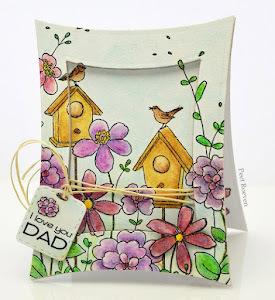 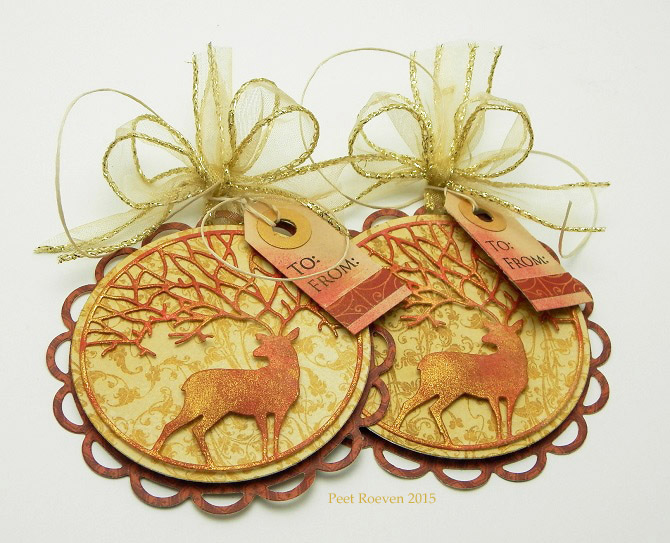 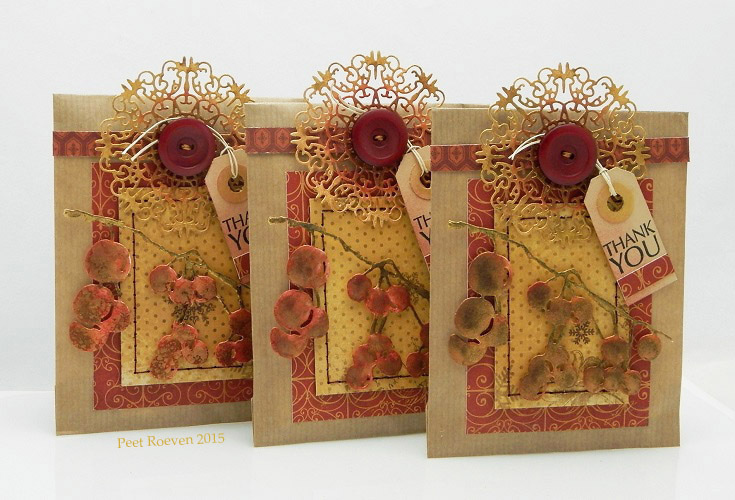 These tags were made using the new 40-409 Tree Chirps Slapstick/Cling stamp from Penny Black. 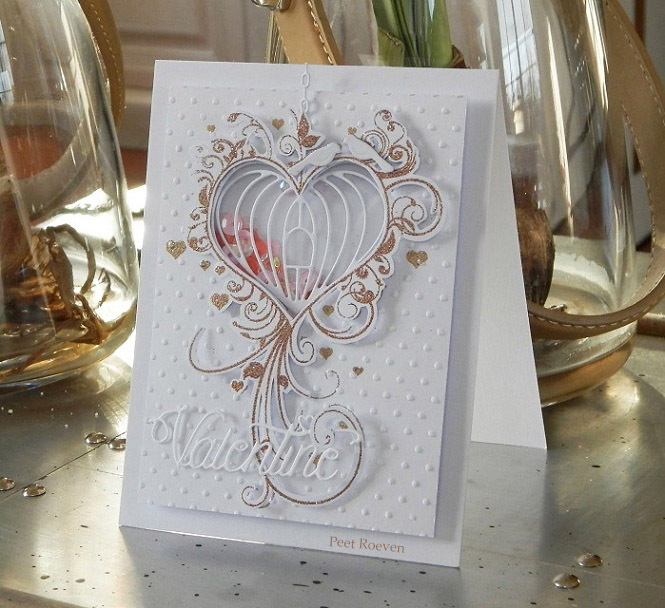 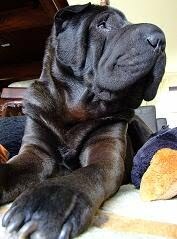 *Stamped with VersaMark and embossed in gold. 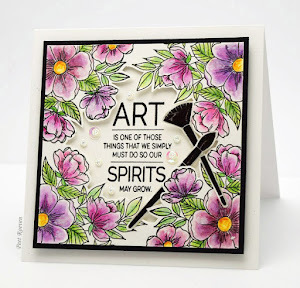 *Watercolored with Derwent Inktense pencils. 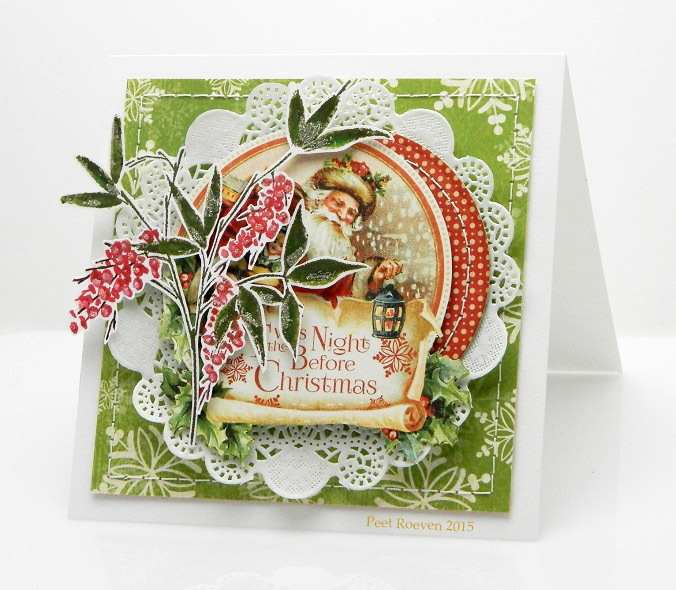 Here's another card using the new Winter Romance collection from Penny Black. 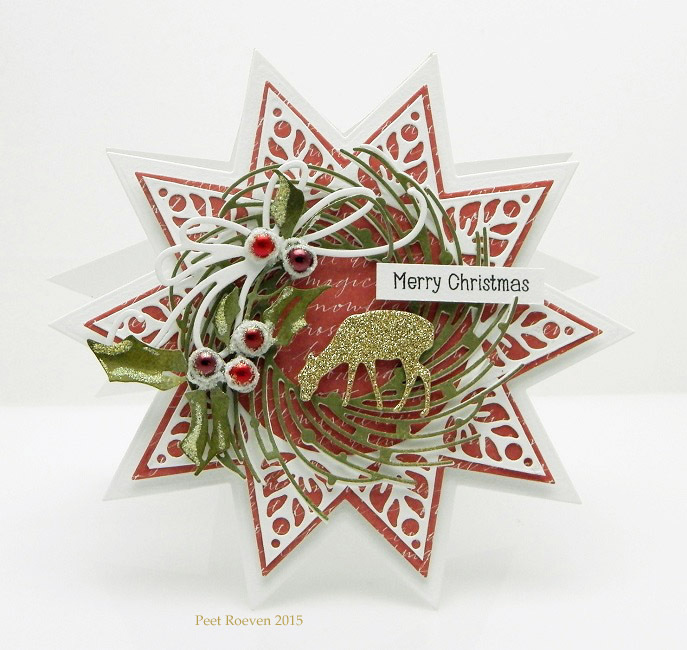 Other: Faber Castell Polychromos Pencils, Stickles Glitter Glue, Red Satin Ribbon. 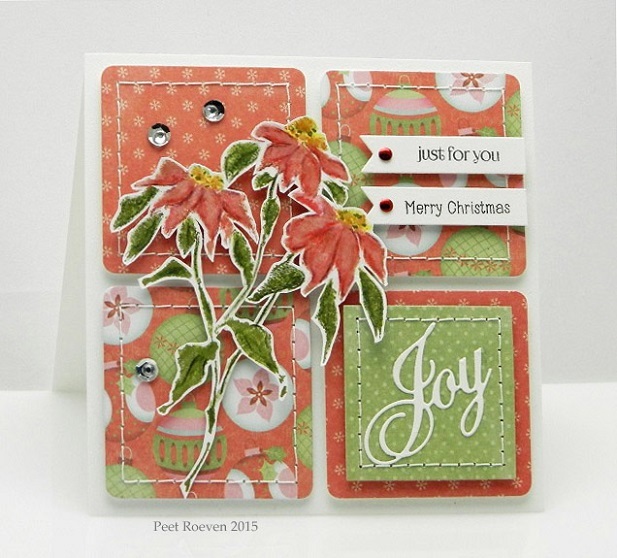 This card was made using the new Winter Romance collection from Penny Black. 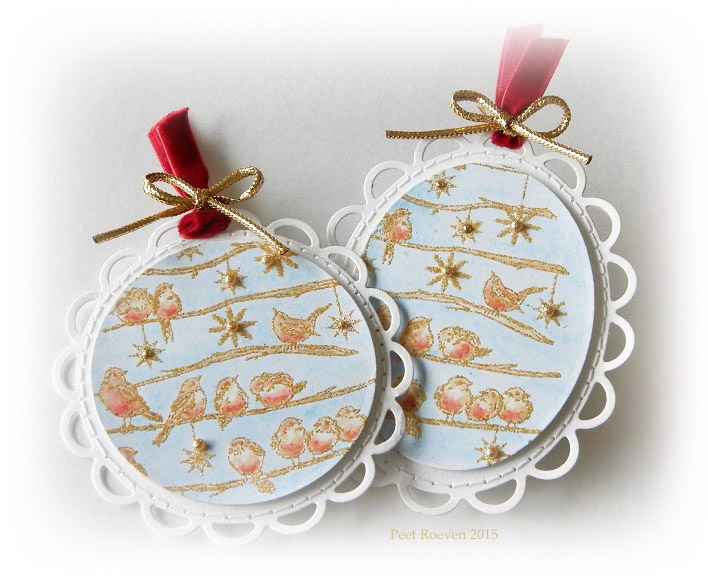 *add glossy Accenst and sprinkle with Twinklets Diamond Dust. 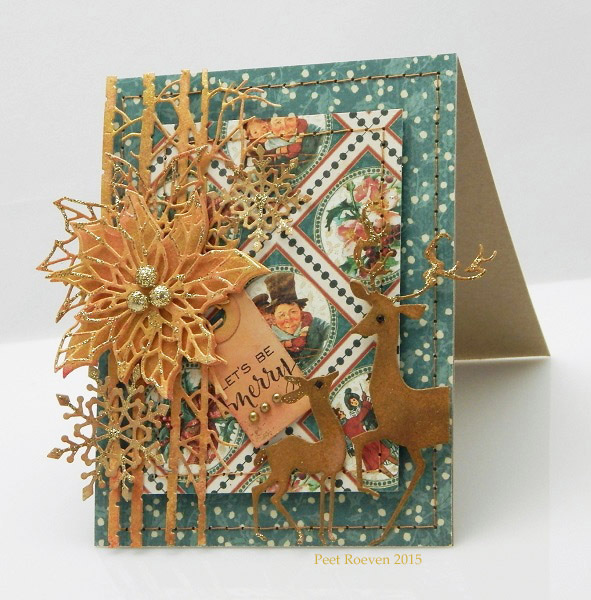 Tutorial can be found HERE. 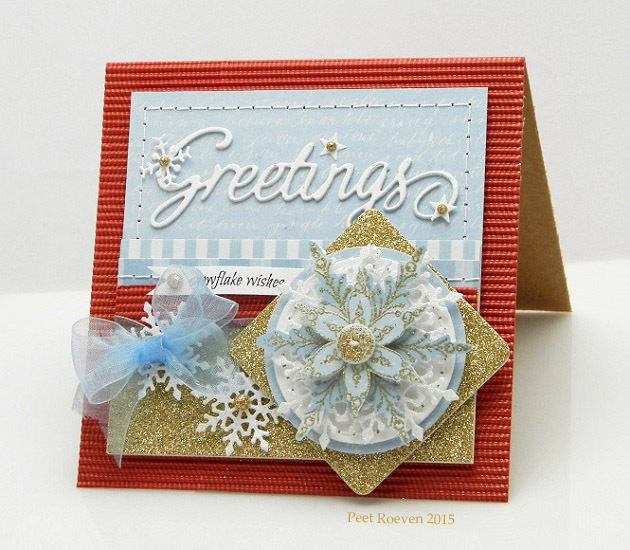 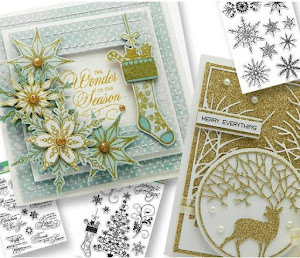 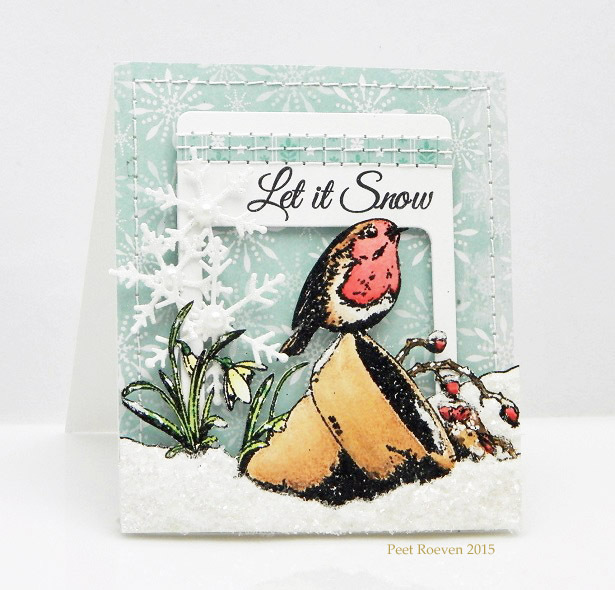 Check out the Penny Black Blog to see more Snowy Stamping all this week!